After the collapse of the Baathist regime in Iraq, the Arabs fled from the region of Kirkuk. On 16 October 2016, though, the Arabs returned to the region and wanted to occupy the fields and lands belonging to the Kurds. The people of the region think that this is the continuation of a Ba'athisation and Arabization policy. During the period of Ahmed Hassan al-Bashir and Saddam Hussein people who had no identity and were living in Kuwait were deported to these Kurdish areas and get to settle there. The land and fields of the Kurds were given to these people. The problems arising from this Arabization policy have continued to these days. Last month, there was a conflict between residents of the the village of Ingice and the Arabs. 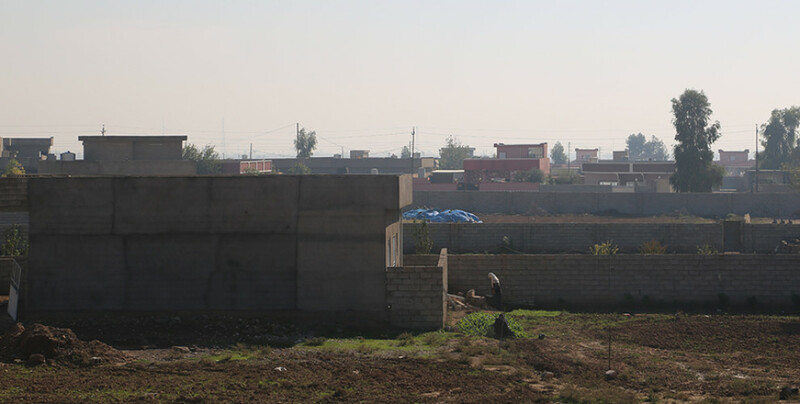 In order to see what is going on in the region, ANF visited the village of Ingice, 10 kilometers away from Daquq and known as Talabani region. We met with the residents of the village. The village was built 500 years ago by the Kurds at the time of the Ottomans. Kurds have long been present in this region, said Farmer Hiwa Tahir, a resident of the village of Incige. “Kurds lived in this region for a very long time and until Ahmed Hasan al-Bekir and Saddam Hussein regime. But then they have been replaced by Arabs without an identity, and the regime gave our land and our fields to them”. For 30 years, said Hiwa Tahir, “from 1973 to 2003, they occupied our fields and organised them for themselves. After the collapse of the Baath regime, the Arabs in the region fled. The land and the fields thus returned to their former and legitimate owners. However, after the events of 16 October 2016, the Arabs who had fled returned again. Now they want to regain the opportunities the Baath regime has recognized them. They want to take over our land again”. According to Hiwa Tahir it is clear that there is a policy being pursued of Arabisation in the area, once again in the Daquq region. “They prepared a program for this. - said Hiwa Tahir - The members of the Kirkuk Provincial Assembly do not officially carry out their duties and activities. They want to create a new assembly at the next elections”. Farmer Tayyip Hemid, one of the residents of the region, said: “In 2003, the Iraqi government had compensated the Arabs who occupied our lands to make them return to their former lands. We have documents on this. But they still want to continue to invade our land unlawfully”. Hemid added: “If we go back to Kirkuk, our safety of life is at stake”. Hemid accused the members of Kirkuk Province Assembly of being insensitive about this issue. “Isn't the safety of Kirkuk people in danger?”, he asked. Tahir Bekir, another resident of the village of Ingice, said: “The old Iraqi regime would make a census every 10 years. In all the censuses from 1927 to 1967, Ingice was a Kurdish village. The land and the fields here belonged to the Kurds. But the government did not make efforts to keep the Kurds in the region. Those who took over our land and fields today were staying in Kuwait before. The Kuwaiti State deported them because they had no identity. They weren't even Arabs. But Saddam Hussein gave them identity and placed them in the region to Arabize the Kurds”. Bekir ended his remarks by saying: “The political parties should recognise the Kurds in this region. If not, the people here will be deprived of the right to see themselves as belonging to this region”.